The cheque of NRP 19, 50,000.00 was handed over to Mr. Ramchandra Bishwokarma, the Bank manager of Nepal Bank Limited, Melamchi, Sindhupalchowk. After a first tranche of NRP 50,000.00, the second tranche of NRP 1, 50,000.00 is deposited in the beneficiary’s account as per the government regulations for executing the shelter reconstruction of the earthquake affected. The second tranche is granted to the beneficiaries who have completed foundation work or more as minimum requirement for second installment. There are thirteen beneficiaries who are eligible for the same. 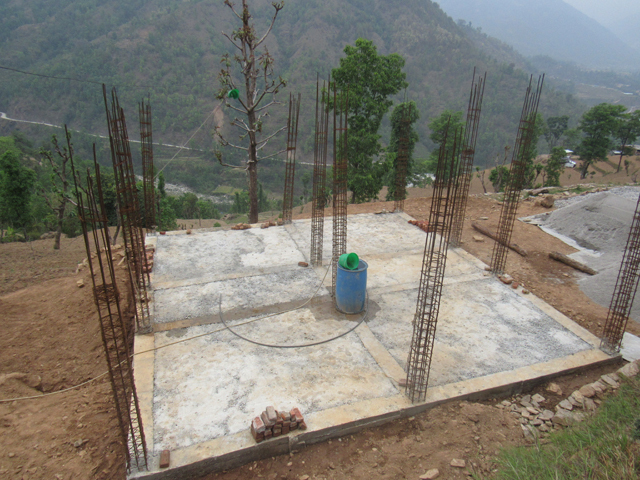 Rest of the affected will receive the second tranche as soon as they complete foundation work. 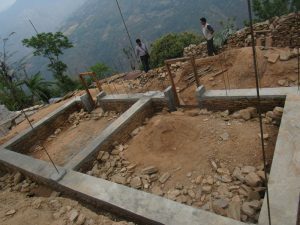 Lack of sufficient and skilled workers, and unavailability of local resources for building shelters have resulted in delayed construction work. Training on Reducing challenging Behavior of children with special need. At Kavrepalanchowk District of Kharelthok VDC Ward No.5 lies a school (Susta Manasthiti Punarsthapana Kendra) for special children. NJSI has been working for the betterment of the school and welfare of children in various manners. From 11th of April 2017 – 13th of April 2017 NJSI organized a training session especially for the teachers of the school. The training was guided by a special trainer from SOS Balgram, Jorpati Mrs. Rama Karki (Assistant Director) of SOS Balgram. There were total 10 participants in the training including the teaching as well as non-teaching staffs of the school and members of NJSI. The main objective of the training was to widen the knowledge of the teachers of the school regarding the techniques to reduce the challenging behavior of the children. The training mainly focused on the functional assessment of the special children of the school and different methods and techniques to deal with the children with such problems. The trainer also taught the trainees about the symptoms of the special children and behavioral problem in functional assessment. Most importantly the trainees were taught about the techniques of keen observation, therapeutic communication, PFA (Psychological first Aid), strength based assessment, Art Expressive therapy and music therapy. 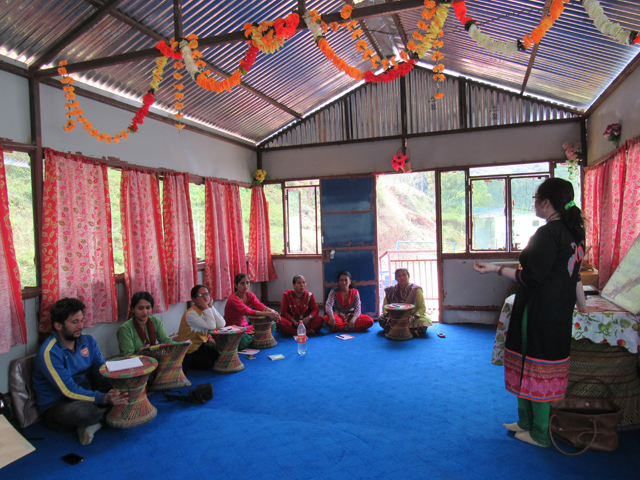 The training also included the art therapy classes and hygiene maintenance process.